Guided musky fishing on the Ottawa River. 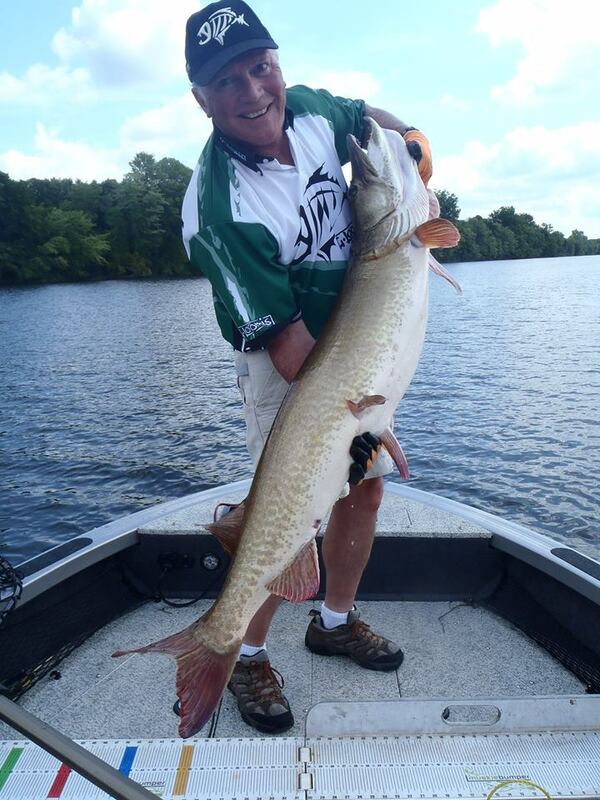 Good friend, renown musky guru, and prolific professional writer Wally Robins has offered his services as a blogger here at the Ottawa River Musky Factory. I am honoured to offer you some insight and wisdom from a very experienced and respected voice. Great news! Muskies are easy to catch. Sometimes. But not often. A perfect mix of barometric pressure, water temperature and clarity, wind direction and other climate factors can make the big girls want to dance. If you can hit the water when you cast, they’ll eat anything you can throw. Multiple fish days result. Sometimes. But not often. There’s not so great news too. Most of the time, muskies are hard to catch. Science shows that a musky spends three quarters of its time living a sedentary life. They lie in thick weeds or on the bottom where they laugh at us as we heave big baits in lots of pretty colours until our shoulders burn. Sometimes this happens when “the book” says that everything’s perfect for a feeding frenzy. When that happens to you, listen very carefully. You’ll hear big muskies laughing at you. When we’re chasing fish that are inactive and uninterested 75 percent of the time, we have to have strategies to deal with the situation. Here are a few of mine that have worked for over 25 years. Not all the time, but most of the time. I’ve heard big muskies laughing at me too. Many times. Tip #1 – Use confidence baits. When the bite’s tough is the worst time to experiment with the new bait you bought and have rarely or never used. It’s not fair to you and it’s not fair to the bait. Pick three bait types (big rubber, top-water, glides, whatever) that you fish really well and throw them. All day long. You have confidence in these baits because you’ve been successful using them. You’ve been successful probably because you fish them well. Go with your strengths. Tip #2 – Fish proven musky locations, places where you’ve seen and caught fish before. I like large areas with a mixture of depths, weed types and hard structure. The bigger the area, the more fish live there. The math is simple. More fish see your bait. Your odds increase. Leave exploring new areas until the bite’s on. Tip #3- Keep your head in the game. To be successful in tough conditions, you have to do everything right. Sharpen your hooks. Check your knots. Fish slower and deeper. Make good casts. Finish every single cast with a GOOD Figure 8, not some half-assed Zorro swish beside the boat. You will likely get only one shot at glory on a tough day. Odds are it will happen at your feet. Screw it up and the net will be dry at the end of your day. And it will be your fault. Tip #4 – Work hard. Then work harder. It’s OK to curse muskies while you’re working. Sometimes it’s OK to curse your guide. But keep grinding. When you catch a giant at the end of a brutal day, be proud. You’ve proven that bad news doesn’t always mean a bad result.